From “No More Secondhand God,” by Buckminster Fuller, 1940.
not academic dogma, nor ecclesiastic canon. but out of including, refining, dynamic balancing. Only the false and nonexistent are dispelled. As I was saying, in the last century a large number of scholars have written a great number of books and papers laying out meanings of 'God' very different from traditional theism. I'm thinking particularly of process theologians and naturalist theologians. They have produced such an extensive body of work that I think we have to say they’ve shifted the English language: the meaning of the word "God" is not limited to the traditional theist conception. These theologians have developed a notion of God not as a noun – not as a person, place, or thing – at least not some specific object thing, some entity. 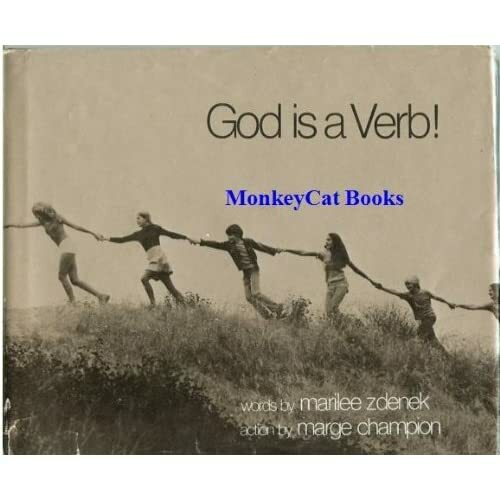 They have made it possible to think of God as a verb – as the active, creative principle in the universe. A tenet of process theology is that “reality is not made up of material substances that endure through time, but serially-ordered events.” Rather, God is an unfolding process. Theologians such as the Unitarian, Henry Nelson Wieman and Mennonite Gordon Kaufman work out in detail a conception of god as creativity – serendipitous creativity says Kaufman, to emphasize the unplanned, unpredictable nature of creativity. The traditional notion of God as creator wasn’t entirely off-base, they say. There really is a connection between the function of creating and the deep mystery, awe, wonder and sense of reverence that goes with the notion “God.” God the creator wasn’t entirely off-base – but God isn’t a person-like creator. Instead, God is creativity itself. This is part 3 of 6 of "God the Verb"
Previous: Part 2: "Communication Enough"